Sunset Marina was featured in this media release by the Tennessee Department of Tourism. See Sunset’s tnvacation.com profile here. 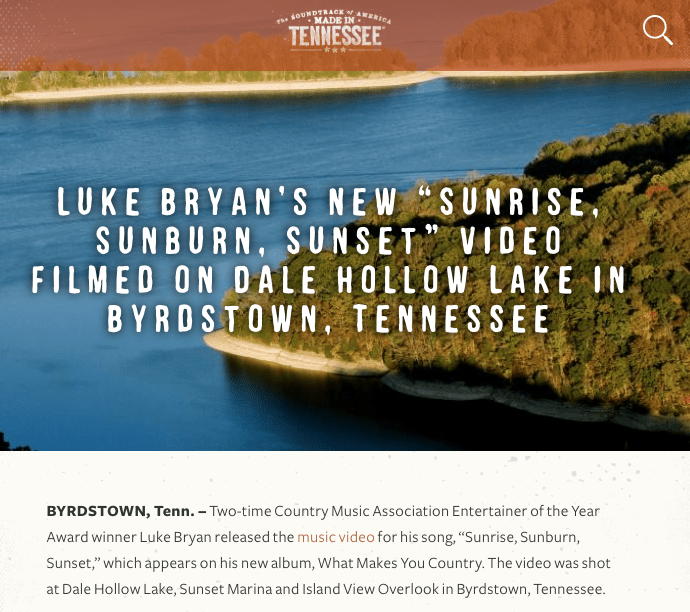 BYRDSTOWN, Tenn. – Two-time Country Music Association Entertainer of the Year Award winner Luke Bryan released the music video for his song, “Sunrise, Sunburn, Sunset,” which appears on his new album, What Makes You Country. The video was shot at Dale Hollow Lake, Sunset Marina and Island View Overlook in Byrdstown, Tennessee. The video showcases the expansive views of the area. Bryan and crew came to Sunset Marina in late June to make Dale Hollow Lake the epicenter of Bryan’s hit single. 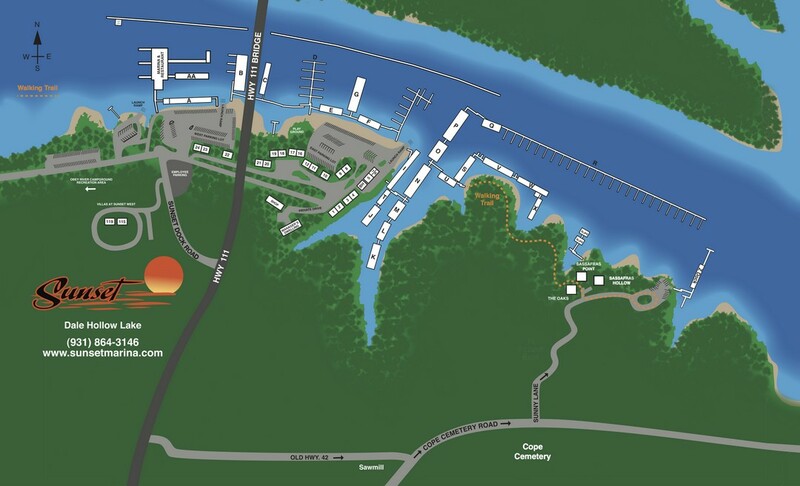 Tom Allen, general manager of Sunset Marina, was contacted by FLYHI Films’ Creative Director Michael Monaco who pitched his “favorite place on earth,” Dale Hollow Lake to Bryan. The video was filmed June 26. After filming, the crew, talent, Bryan and his family had dinner at Pier 42 Restaurant. Dale Hollow Lake has more than 620 miles of shoreline and spring-fed waters. It plays host to houseboats, cabins, cottages and campsites along with five marinas and resorts. The lake is hailed as a top houseboating lake in North America, according to Pick A Slip, the largest marina directory in the nation. Luke Bryan has sold more than 7 million albums and 27 million singles worldwide, is a winner of 10 CMT Awards, five Academy of Country Music Awards and four Billboard Awards. The former American Idol judge is set to open the 30,000-square-foot Luke’s 32 Bridge Food + Drink on Nashville’s Lower Broadway by the end of July. It will feature six levels, eight bars, four stages and two restaurants along with the Luke Bryan’s Crash My Party Rooftop Patio, one of the largest rooftop bars in downtown Nashville. For more information, visit www.lukebryan.com.